The UsuryFree Eye Opener: Honouring Margrit Kennedy - A Pioneer "UsuryFree Creative"
Honouring Margrit Kennedy - A Pioneer "UsuryFree Creative"
On behalf of usuryfree creatives and readers here at The UsuryFree Eye Opener I would like to offer sincere condolences to Margrit Kennedy's family, her many friends from all over the world and her colleagues in the usuryfree community currency movement. Margrit Kennedy, from Steyerberg, Germany departed planet earth on December 28, 2013 - overcome with "cancer." Margrit Kennedy's Curriculum Vitae. Margrit Kennedy was a German architect, professor, environmentalist, author and world authority on and an advocate of usuryfree complementary currencies and an interest-free (usuryfree) and inflation-free economy. I was one of the over 300+ people who had the occasion to meet Margrit Kennedy at the "Local Currencies In The 21st Century" Conference in June 2004 at Bard College, Annandale-on-Hudson, New York as she was one of the guest speakers. Margrit Kennedy focused on the design flaw of usury (interest) and exposed its evil and immoral function on our orthodox, economic system of debt money. Margrit Kennedy explained that approximately 40% to 45% of the cost of every product that we purchase is directly paid as "usury" or "interest" to the global banking cartel. Margrit Kennedy was a pioneer in the usuryfree community currency movement. Her most popular book is titled: "Interest and Inflation Free Money - Creating an Exchange Medium That Works For Everybody and Protects the Earth" was authored in 1987. Since that time it has been revised several times and it has been translated into 22 different languages. The book "Interest and Inflation Free Money" can be read and/or downloaded at this link. 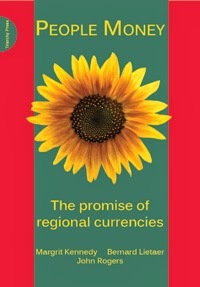 Another popular book by Margrit Kennedy and co-authors Bernard Lietaer and John Rogers is titled "People Money The Promise of Regional Currencies." 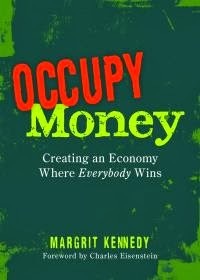 In 2012 Margrit Kennedy published another book titled "Occupy Money." Simon Thorpe reviews "Margrit Kennedy's book - Occupy Money." 1. If Money Rules The World, Who Rules Money? 2. Why Do We Need Monetary Innovation? 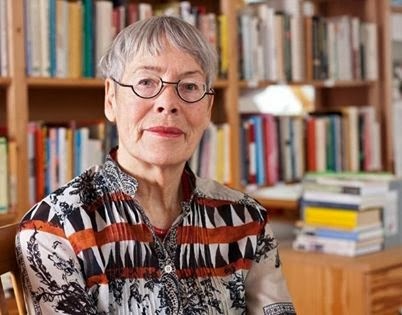 David Boyle writes about Margrit Kennedy's contribution as a usury free creative and monetary reformer in this article titled: "The Strange Design of Money." Shann Turnbull writes these kind words as a "Tribute to Margrit Kennedy" at "People Money page at Facebook." 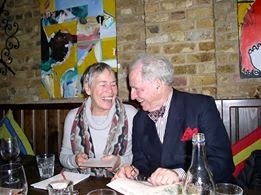 "On behalf of all members and friends of our Sustainable Money Working Group I would like to offer condolences to all the family, friends and colleagues of Margrit Kennedy. Margrit was a ground breaker. She laid the foundations for transforming finance by educating both experts and the public alike. She was an excellent communicator. Margrit presented the profound implications of money earning interest in a most direct and compelling way. Margrit had a generous nature - in sharing ideas, and encouraging colleagues and helping them in practical ways. In these ways she created many followers to build on her knowledge and inspiration to create the building blocks for transforming finance. Margrit transformed what we thought about money earning interest and its effect on inflation. Her contributions were both theoretical and practical. History will remember Margrit as a pioneer of a reform movement that is now gaining traction globally. It was privilege to know Margrit and share her enthusiasms. She even visited Australia to share her ideas. It was an honour to be with Margrit at the Lebensgarten Eco-village “Make Money Move" Symposium in 2003 and at the inaugural meeting of the Association of Regional Currencies in the Traunstein Rathaus in 2006. 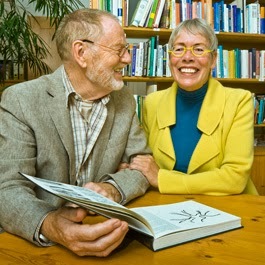 Margrit became a co-founding member of the Sustainable Money Working Group. She supported us by speaking at our first public meeting hosted in London by the Institute of Chartered Accountants of England and Wales on 13th February 2012. In July 2013 she kindly joined many other friends and colleagues in Split Croatia to speak at the First Social Transformation Conference that considered Energy Currency as a fundamental measure of price cost and value. We all owe Margrit a great (non-financial and interest free) debt of gratitude!" Another tribute to Margrit Kennedy at the Complementary Currency Resource Centre at Facebook. "Full of admiration and sadness, we share that our friend Margrit Kennedy died on December 28, 2013. We stand on the shoulders of giants. Margrit was one of our giants. She inspired us to work on great projects with great people. Margrit was a community currency expert, architect and environmentalist. She shared her insights on the fundamental flaws in the monetary system with many. 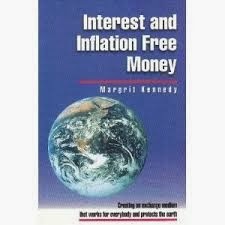 Her famous book ‘Interest and Inflation Free Money, Creating an Exchange Medium that Works for Everybody and Protects the Earth’ (1987) has been translated into 22 languages. Based on her conclusions, she became an influential advocate on community currencies in general, and on Regional Currencies in particular. Margrit, we will miss you …"